MDB/WWF „Here to stay“ Split EP (FFM039) OUT NOW! CD FINALLY IN STOCK – VINYL COMING VERY SOON! 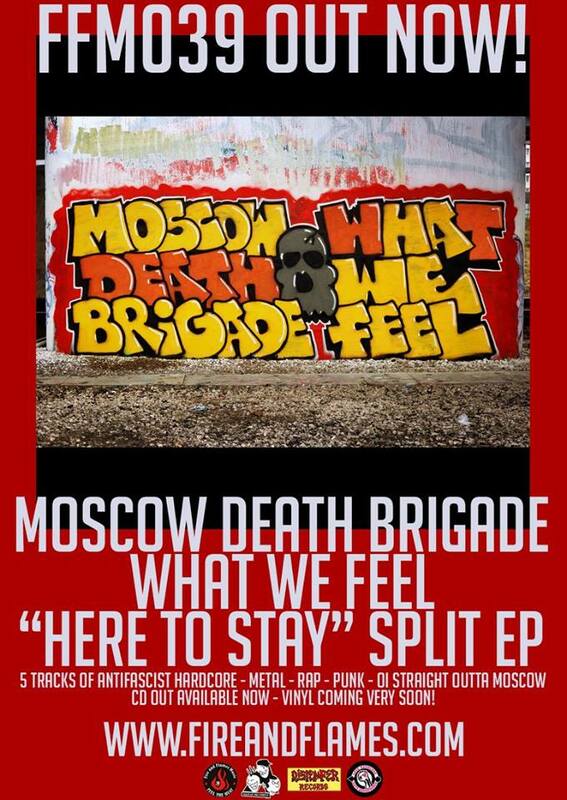 Overdue split release of Moscow Antifa’s finest What We Feel and Moscow Death Brigade! Five hard rockin‘ tracks on this EP in total – one blasting song of both bands together plus two exclusive tracks from WWF and MDB each. In proud cooperation with Voice of the Streets Records and Distemper Records. Go directly this way to order here! MDB/WWF – „Here to stay“ EP (FFM039) COMING SOON! There’s a BIG thing coming up mates! We‘re honoured to take part in the overdue split release of Moscow Antifa’s finest What We Feel and Moscow Death Brigade including this common arse kickin‘ track of both bands. Watch this just released appendant clip and expect the MCDs and 7″ EPs being available in the next few weeks. And if you can‘t wait that long: Just download the whole EP via our partners in struggle Voice Of The Streets Records right now! Du browst gerade in den Fire and Flames Weblog-Archiven nach dem Tag 'voice-of-the-streets-records'.